Welcome to Lake Side Auto Rebuilders, working with all insurance companies. We use only the highest quality materials available which allows us to offer a lifetime warranty on repairs. Monday – Friday from 7:30 a.m. to 5:00 p.m.
Sarkis Tokat started Lakeside Auto in 1975. An experienced metal fabricator specializing in commercial furniture design and production. He worked in auto collision repair with an Evanston car dealership in the late sixties, mainly servicing Porsche / Volkswagen. 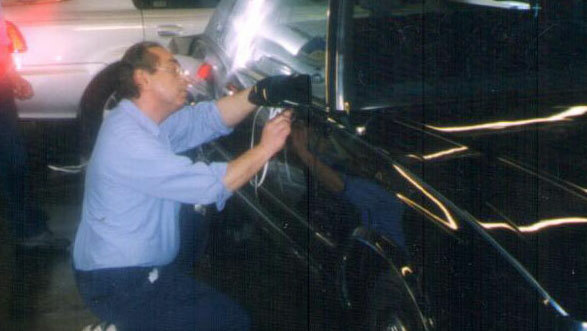 Still involved in the day to day business, the shop remains with the family being operated by his son Armen and a very dedicated staff of auto body/frame, paint and administrative staff. Staying true to the original values of the business, Lakeside Auto continues to thrive in an industry being flooded by chain / multi-shop facilities. New technology advanced training and equipment is an integral part of what keeps Lakeside on top of the industry. Hybrid and Electric drive system trained and certified. Aluminum frame and body repair and replacement equipped.